Now, what self-respecting bride takes a trip down that aisle without her something blue? 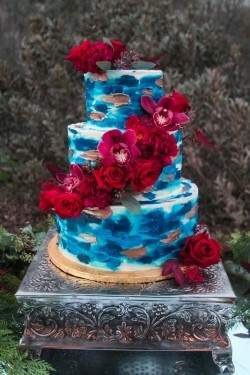 But, for the bride who would like to kick up the color factor a little, without rocking the tradition boat too awfully hard, a blue cake may be just the thing. 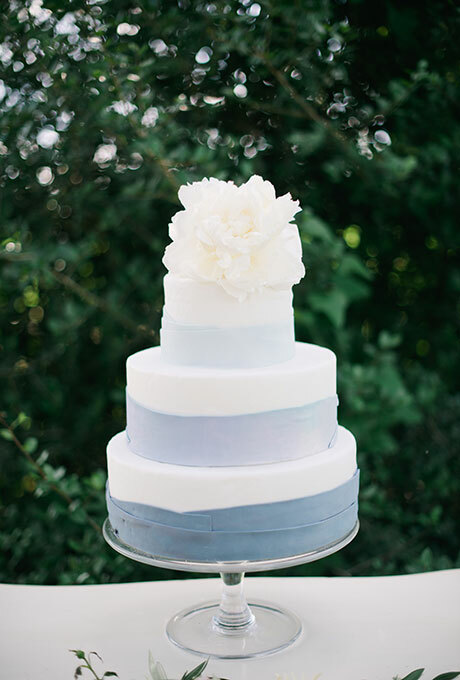 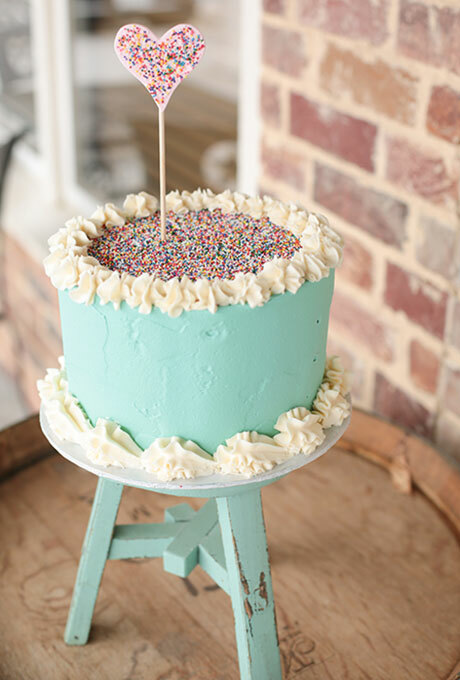 Whether it’s sky blue, the softest baby blue, or Tiffany Blue, or even electric blue, this cool color is becoming increasingly popular in wedding cake palettes, particularly as an accent hue. 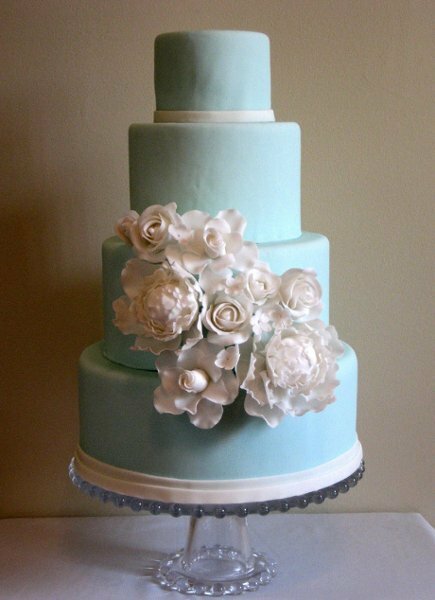 We’re seeing satin ribbons around the base of cakes to incorporate that touch of blue, but gum paste flowers on willowy branches also make a startling statement. And paired as part of a hot color combination, with, say, black zebra stripes, or bold, graphic browns, the demure color can take a front row seat in the trendiest of receptions. 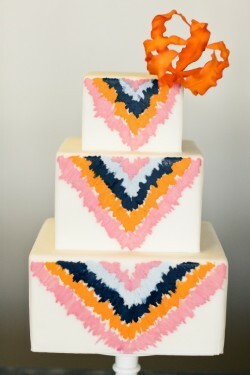 In these warm summer months I love looking for colorful wedding cakes that add a lovely pop of color to your dessert table. 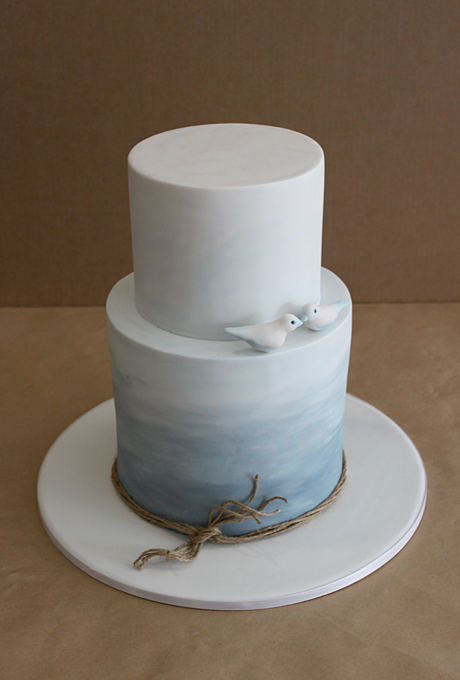 Today’s cake is a perfect shade of blue for summer – it looks like the sea or the sky. 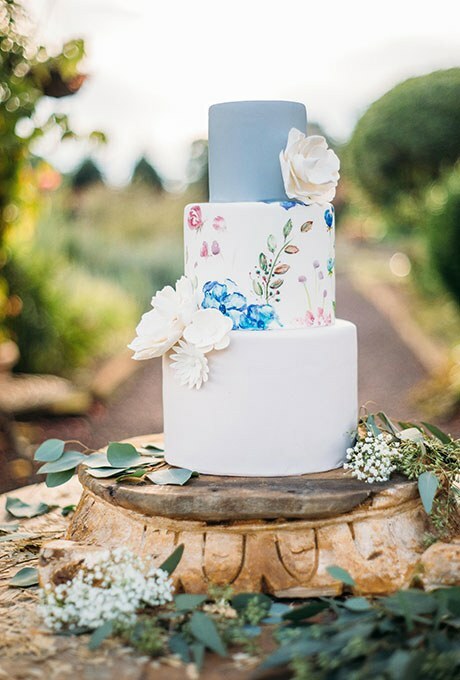 We’re just a couple weeks away from the official start of spring so of course we’re thinking about all the lovely spring flowers that will soon be blooming! Today’s cake reminds us of all things spring thanks to the lovely painted flowers on the middle tier and the use of sugar flowers. 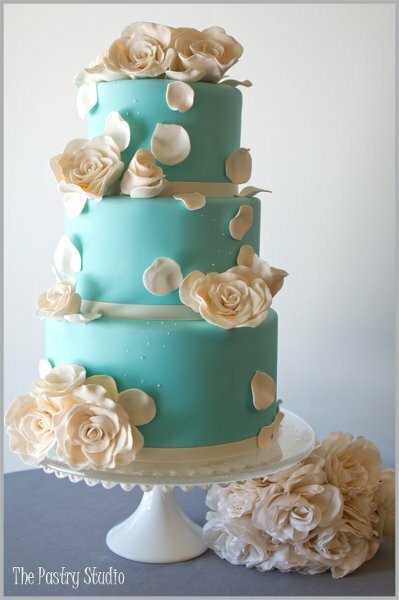 I love the idea of having a small wedding cake for the newlyweds but giving the rest of the guests a chance to enjoy a dessert bar full of sweet treats. 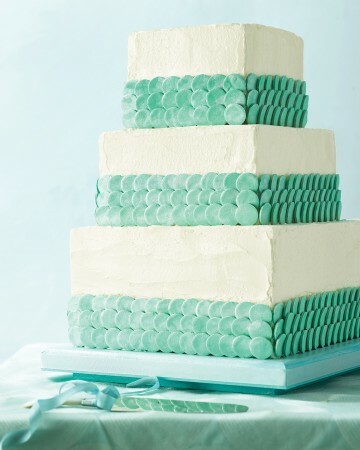 And if you’re going to go with that plan, you should consider having a fun wedding cake – something like today’s featured cake! 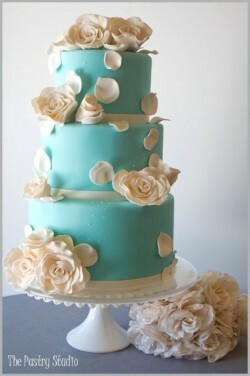 Today is the second day of March, which means we are daydreaming about springtime and flowers and warmer weather. 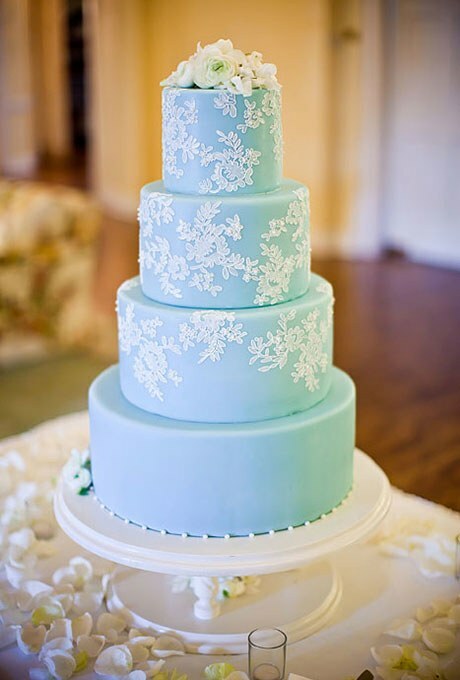 However, it is also currently snowing outside so we are also thinking about snow and ice and cold – all the wintry things that look like the colors of this cake.